Although the legends of the M1911’s prowess as arguably the world’s best combat handgun are based on the full-size, military-issue M1911 and M1911A1 models, there is a sizable segment of the civilian 1911 owner universe that feels the slightly more compact (4¼-inch barrel rather than 5-inch) Commander and Combat Commander models are better balanced, both visually and physically. The owner of The M1911 Pistols Organization, John Caradimas, is one of a growing number of proponents of the Commander platform. As background, and to avoid confusion, it should be noted that when Colt initially introduced the Commander in 1950 it was offered only with a lightweight, aluminum alloy receiver. The alloy was called (cleverly) “Coltalloy®.” According to the Internet site The Sight, the Colt Commander was the first-ever use of aluminum alloy for the production of a large-bore handgun. When a corresponding model was introduced in 1970 with a carbon steel receiver, it was designated the Combat Commander. The designations have changed over the years, however, and today it is common for the name “Commander” to be used for any 1911 with a 4¼-inch barrel. (In fact, a great many people use the term to refer to 1911 pistols from any manufacturer with a barrel length of less than 5 inches but more than 3½ inches.) While most manufacturers of 1911s in this size range seem to have settled on a barrel length of 4 inches and a configuration that eliminates the barrel bushing entirely, Colt has remained true to the original Commander configuration and still produces Commander pistols with 4¼-inch barrels and conventional barrel bushings. In fact, Colt currently offers two different series of pistols that include Commander-size models: the no-frills 1991 series, and the “enhanced” XSE series. Because John Caradimas and the owner of the test pistol share a strong preference for the original Commander configuration, this review covers a basic O4691 Commander with the standard, blued finish. Although Colt’s Manufacturing has recently begun sending out samples of new models to gun writers for evaluation, the O4691 is not a new model and Colt simply had none that the marketing department could provide for testing. However, through the efforts of Colt’s marketing department, a privately-owned example of the current production Combat Commander in .45 Auto caliber was made available to us for testing. The test pistol came to us new-in-box and unfired, exactly as it left the factory. The owner does not choose to be identified, but we are grateful for the opportunity to review the pistol, and we are grateful to Colt’s marketing department for making it possible. 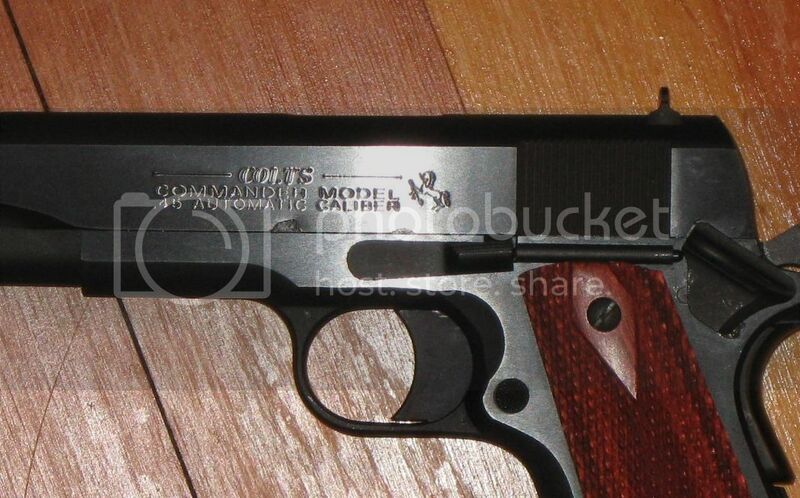 The 1991 Combat Commander is a regular production pistol in Colt’s line-up, not a Custom Shop item. 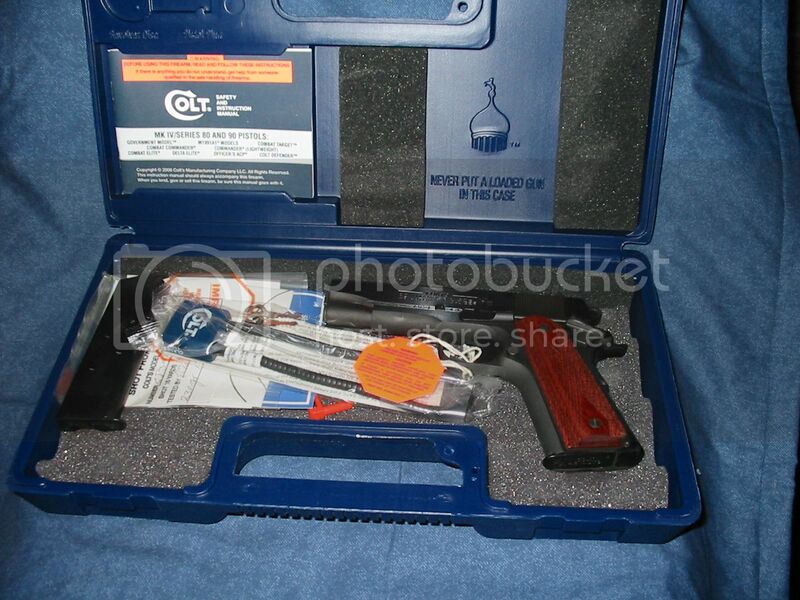 It is equipped with a Series 80 style firing pin safety, and it is shipped in Colt’s current standard blue, clamshell pistol box. 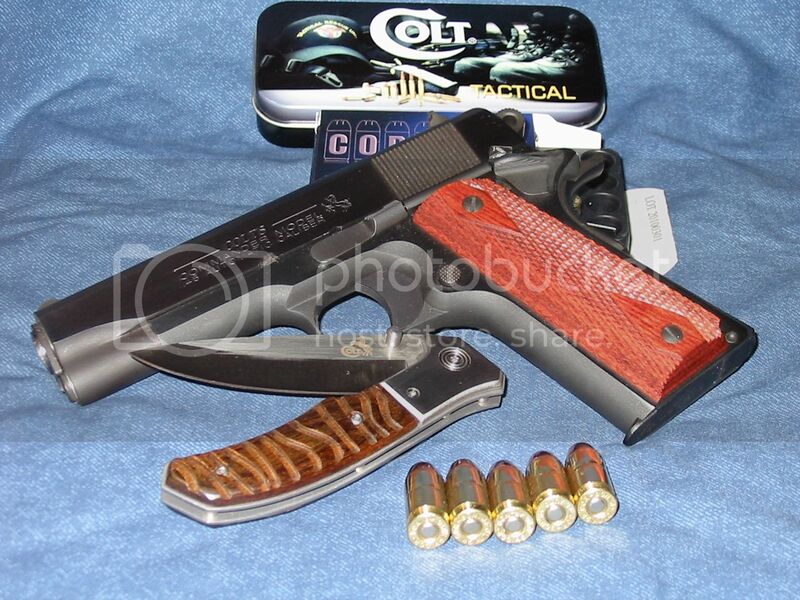 Colt offers the 1991 Combat Commander in blued and stainless steel finishes. The pistol made available to us was the blued version, designated by Colt as the Model O4691. Inside the case, in addition to the pistol, are two standard, 7-round magazines with welded, flush floor plates; a cable lock; an owner’s manual; a test target; a chamber “flag;” and a hang tag. Nothing fancy. No special wrenches or Allen keys, no samples of space-age lubricants. Nothing, in fact, other than what you’re really putting your money on the counter for: a basic, serviceable firearm that’s unencumbered by a lot of bells and whistles of debatable value. But – is the 1991 Combat Commander really a serviceable firearm? That’s what this evaluation set out to discover, so let’s probe a little deeper. First, in describing the O4691 Combat Commander as a “no frills” 1911, let’s clarify that this pistol does not use a full-length guide rod. The value of full-length guide rods has been hotly debated for years and the arguments are on-going as this article is being written. Whatever your opinion on the question, the original Commanders did not use full-length guide rods, and the 1991 Combat Commander likewise does not use a full-length guide rod. The recoil system is true to the original design, with a short recoil spring guide, a single recoil spring, a closed-front (checkered) recoil spring plug, and a conventional barrel bushing. 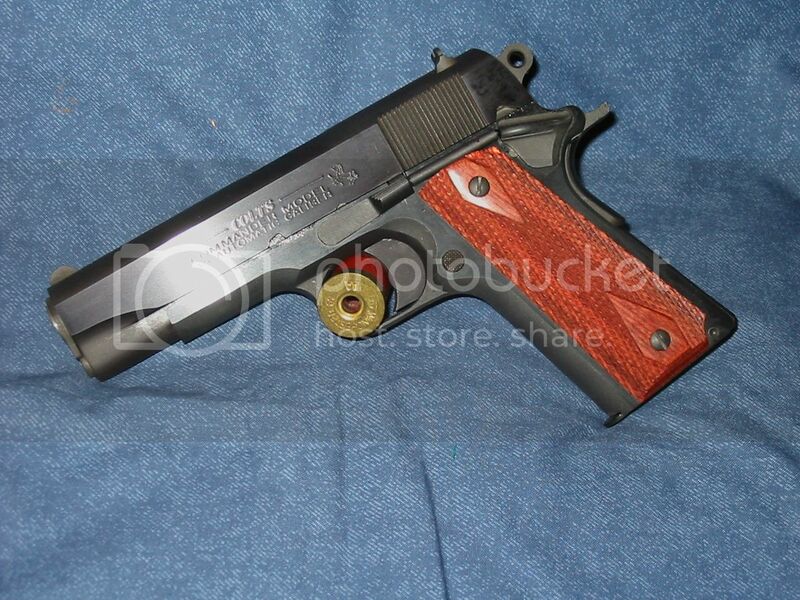 As noted above, our test pistol is the blued version of the 1991 Combat Commander. And, for this pistol, “blued” really means blued; the finish is a hot blued finish, not a sprayed-on polymeric coating in black or somebody’s idea of what “gun blue” should look like in a sprayed-on coating. On the 1991, the surfaces are not brought to a high polish before bluing. The flats are left with a slight grain (not unlike, in fact, the finish on the O1911 World War 1 replicas) and the curved surfaces are a bead-blasted matte texture. The result is an attractive finish that looks “traditional” without being overdone, and is not a shiny bright finish that would be too visible in situations where the pistol is being carried as a concealed, self defense weapon. The sights are standard Colt, three-dot “Combat” sights. These sights are not tapered or wedge-shaped or in any way “tactical” (at least by current parlance). 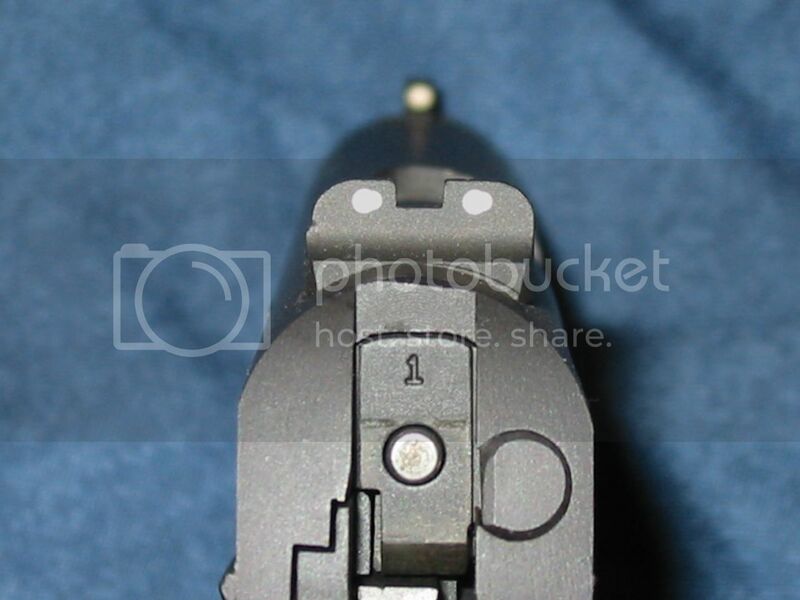 The rear sight is an upright sight with a notch, very similar to the original GI sights on the very first M1911s produced, but slightly higher, with a wider and deeper notch, and with two white dots. 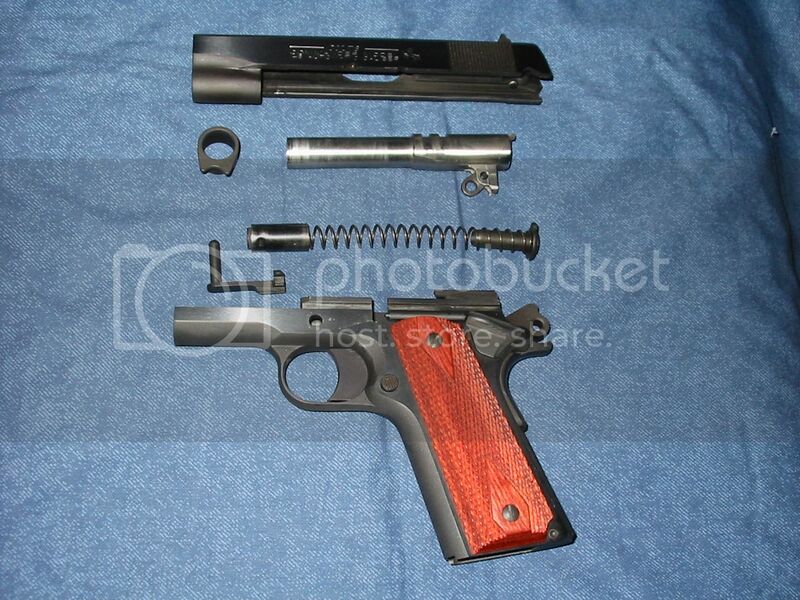 The front sight, like the original M1911, is staked in place, but it is also higher and wider than the original GI front sight, and has a white dot on it. Nothing fancy, but the sights are clear, very visible—and they work. No frills. Astute readers may note a small anomaly at the rear of the slide, above the firing pin stop and behind the rear sight. It is there. However, it should be noted that it is virtually invisible to the eye in handling the pistol. It was first observed when reviewing the photographs, and I actually had to look closely at the pistol at just the right angle to see it "in the wild." While a tiny mar such as that would be unacceptable on a $3,000 custom pistol, it has no functional impact, would not be noticed by 99.9 percent of people handling the pistol, and simply is not (in this writer's opinion) an issue on an entry-level, working man's pistol. Further, this pistol was manufactured a short time before Colt brought in new CNC machining centers for their 1911 slides and receivers. It is unlikely that such an anomaly, minor though it is, would be replicated in a CNC machine. Whether as a concession to weight or to cost (or, perhaps, to both), the trigger pad and mainspring housing of the 1991 Combat Commander are polymer. Some purists will scoff at the concept, but the fact is Colt is not the only major 1911 manufacturer to be using a polymer mainspring housing, and other brands have also used polymer trigger pads. The author personally owns a Colt M1991A1 Compact that is approaching twenty years of age, with a polymer trigger and polymer mainspring housing. They are still there, and they are still getting the job done. 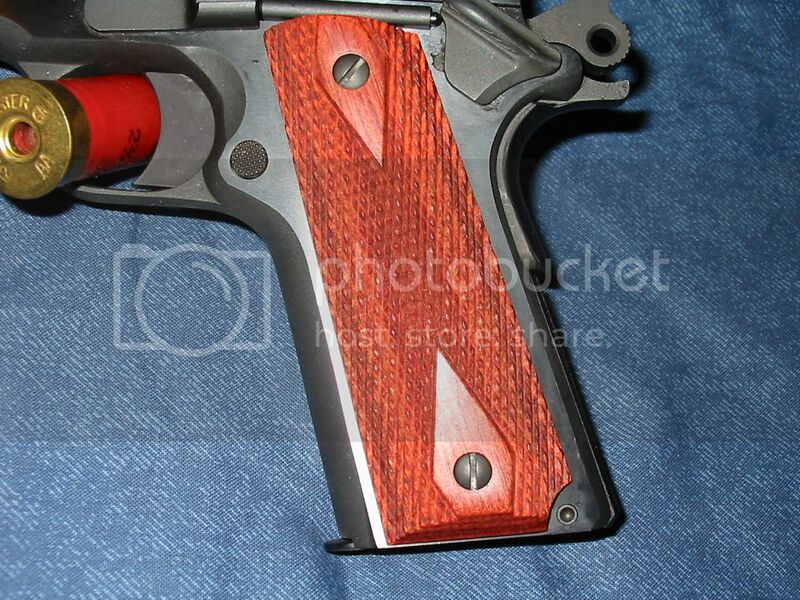 The slide stop is a “standard” (M1911A1) profile, with the top surface serrated rather than checkered. 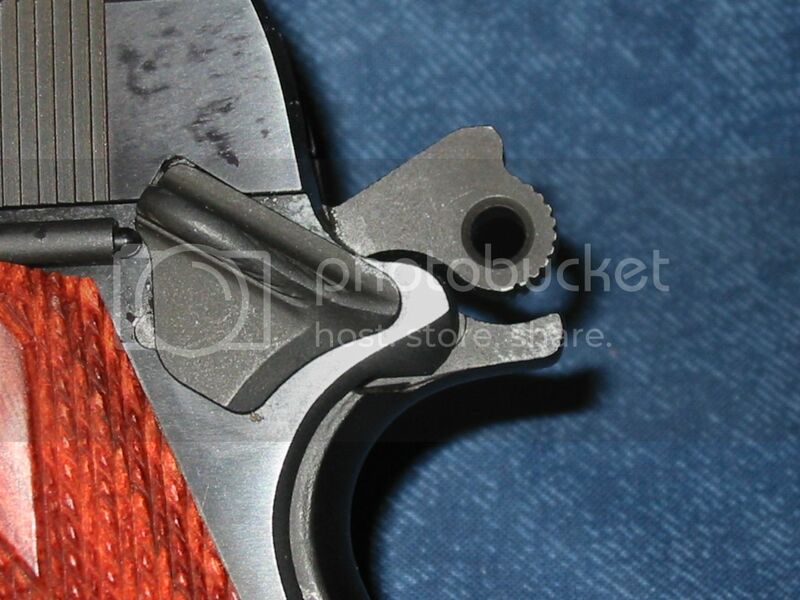 The thumb safety is of the “teardrop” design rather than the very small pad used on the military M1911 and M1911A1. Neither the thumb safety nor the slide stop is extended. The thumb safety is not ambidextrous. Both worked smoothly and reliably. The thumb safety snaps on and off with a comforting “click” with no mushy, creepy feeling that leaves one wondering if it has fully engaged or disengaged. The hammer is the original Commander profile, which has sometimes been referred to as a “rowel” style hammer. 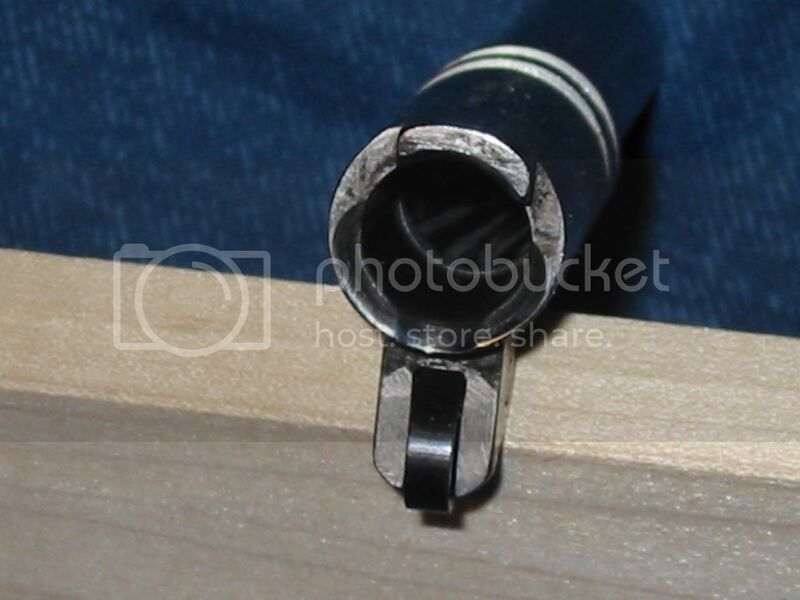 The spur is rounded, for clearance at the grip safety when cocked, and a single, round hole is drilled through the center of the hammer spur. These hammers are crafted in Colt’s own plant from lengths of bar stock extruded to the profile of the hammer. Each hammer is sliced from the bar by a wire cutting machine, like slicing sausage in a delicatessen. Each hammer is then turned over to one of Colt’s machinists, who sets the hammer in a jig and drills the center hole, the hammer pin hole, and the hole for the strut pin. Extruding is considered to be a form of forging, resulting in a straighter grain and tougher matrix than a casting. A great many manufacturers have taken the profile of the original Commander hammer and elongated the center hole into an oval, in order to lighten the hammer in pursuit of faster lock time. While some of these elongated-oval “combat” hammers are forged, those used on most production pistols are MIM parts, and they have been “optimized” to use as little material as possible. In all honesty, as a trained designer I feel that (to an extent) I can look at something and derive an immediate sense of whether the proportions look “right.” And I have to say that some of the new “optimized,” MIM elongated loop hammers just scare me. They don’t look like there’s enough material there to get the job done. Thus, it comes as no surprise when I read about this brand or that brand of pistol being prone to having the hammers break. That’s not going to be a problem with the hammer on the Colt 1991 Combat Commander. Not only is there plenty of steel there to do the job, it’s made from a solid extrusion so there’s no concern that it may shatter. There’s nothing fancy about the grip safety—no palm swell or memory grooves—but it is a more modern style than what was used on the original Commanders. The early Commanders used a conventional-appearing grip safety with an extremely short tang. The 1991 Combat Commander uses a grip safety with a tang that’s the same length as that of a standard Government model, but with an arched “bite” taken out of the upper surface to allow for the hammer spur when cocked. To this writer’s eye, it’s attractive and it works. The grips (or “stocks,” for the purists) are nicely executed, traditional double diamond checkered in Rosewood. The checkering is clean and uniform, and sharp enough to provide a secure grip without shredding the skin. The grip screws use slotted heads, not Torx or Allen screws. Those look nice, but they aren’t practical in the field because they require the correct tool for removal. The slotted screws can be removed by any straight screwdriver, by a knife blade, or by the toe of the magazine floor plate. There is no checkering on the front strap—and I didn’t miss it at all. The 1991 Combat Commander field strips in the traditional sequence: depress the recoil spring plug and rotate the barrel bushing, remove the recoil spring and plug, remove the barrel bushing, retract slide and remove the slide stop, then slide the barrel and slide off the receiver. 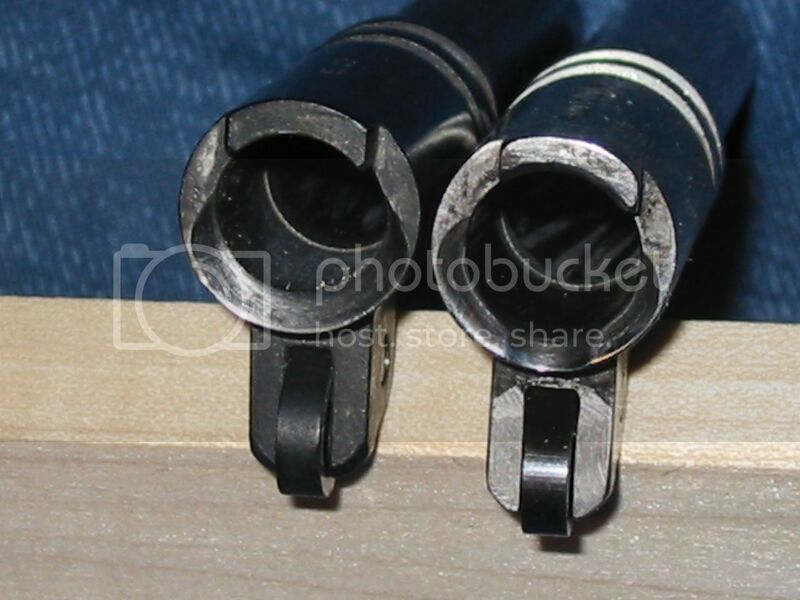 The barrel bushing is nicely fitted to the slide and barrel with no appreciable slop, yet the barrel bushing can be rotated by hand, without needing a bushing wrench. A nice touch, harking back to the original M1911 design and found (to the best of my knowledge) only on Colt pistols, the recoil spring plug has a small dimple punched into the side, to enable the plug to be “threaded” onto the open end of the recoil spring. This effectively captures the plug so that it won’t get away and go flying across the room (or battlefield) when field stripping for service. Slide-to-frame fit was very good. 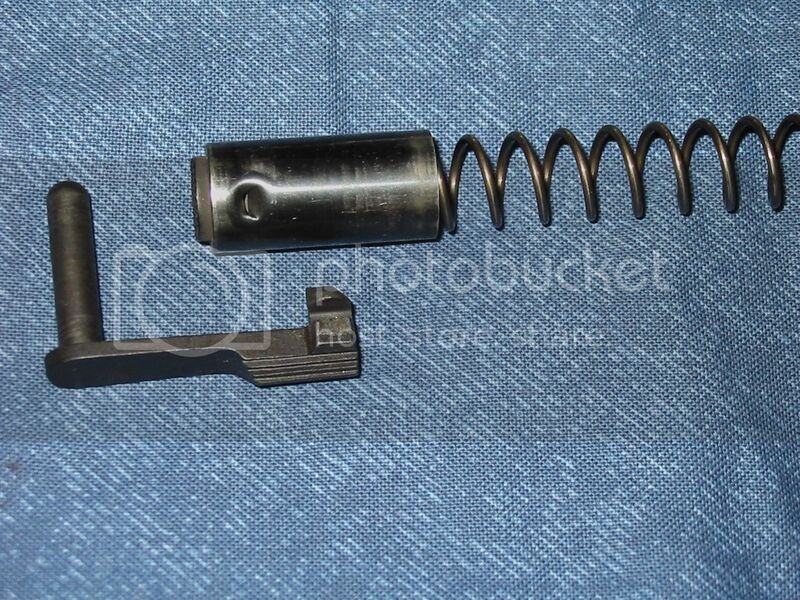 With the recoil spring removed, the slide moved freely on the rails with light lubrication. There was no perceptible vertical slop between the slide and receiver, and just a slight amount of lateral movement when the pistol was in battery. The barrel utilizes Colt's unique, "dimpled" chamber throat. Where conventional 1911 barrels have the entire lower half of the chamber mouth "throated" as a ramped area to allow incoming rounds to feed into the chamber, several years ago Colt began using a chamber throat with just the center section eased, to better guide the incoming rounds into the chamber. This unique profile is reported to help jacketed hollow point ammunition, especially, feed reliably. It must work; we put a wide variety of ammunition, bullet types and bullet weights through the 1991 Commander, and we didn't experience a single hiccup. For live fire, we took the 1991 Combat Commander to Chris’ Indoor Shooting Range in Guilford, Connecticut, to wring it out. This range is an indoor facility with the actual shooting range underground, which means there is never a problem with wind, and the temperature remains fairly constant. Having the targets suspended from electric-powered runners means never having to wait for a “cold” range to examine or change targets. The accuracy portion of our evaluation was fired from a bench with a rest, indoors. In keeping with M1911.ORG’s standard test protocol, Commander-length pistols are shot for accuracy at a distance of 75 feet (25 yards, or 22.86 meters). Pistols with barrels shorter than the Commander’s 4-1/4-inch barrel we regard as primarily concealed carry and self-defense weapons, and we test them at a distance of 25 feet because we feel that is a realistic distance for a potential self-defense incident. Remembering that the 1991 Commander is Colt’s least expensive model, an entry-level pistol rather than a premium, accurized model, the results of our tests were better than acceptable. At a distance of 25 yards, all ammunition types we used grouped under three inches, and half grouped under two inches. We have tested premium-grade, full-size pistols costing three times the MSRP of this 1991 Commander that didn’t produce accuracy this good. We have seen other writers state that Colt 1911 barrels are the best available, and this test pistol seems to support that statement. The Colt 1991 Combat Commander is, as we stated at the beginning of this review, a no-frills, high quality combat sidearm. 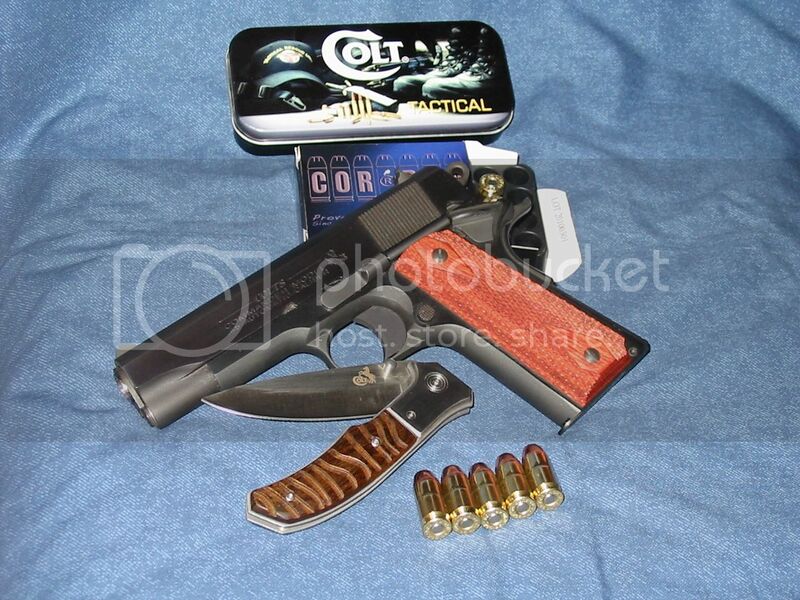 The components and materials are top shelf, the pistol is made entirely in the United States (for those who care about such things), and the workmanship is everything that should be expected from the name “Colt.” This is a pistol for the person who wants (or needs) a high quality, durable, reliable firearm, whether for home defense, concealed carry, or law enforcement duty use. The Commander size conceals well, yet the slide and barrel are long enough that the potential reliability issues often encountered with compact 1911s are entirely absent. Unlike some 1911s that are stubborn when first fired, requiring in some instances several hundred rounds through the pistol before it begins to settle in, this Colt exhibited no hesitation right from the very first round. The fact that it even gobbled up the sometimes-difficult UltraMax LSWC rounds is proof positive that Colt’s “dimpled” barrel throat really works. The Combat Commander size pistol is long enough to be used for law enforcement duty carry as well as concealed carry, and the forged receiver and slide and minimal use of MIM small parts portend that the 1991 Combat Commander can be expected to survive the most rigorous of duty assignments. 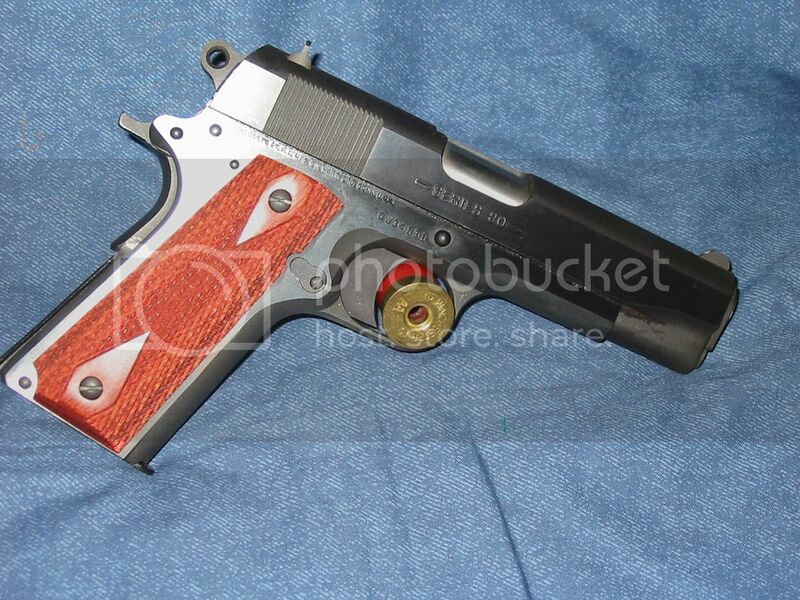 The 1991 series of 1911s, although the least expensive in Colt’s line-up, are not the cheapest 1911 pistols available. Without in any way intending to denigrate the very good entry-level pistols offered by several manufacturers from the Philippines, it is this writer’s opinion that the Colt 1991 series, and the Combat Commander in particular, are about as pure a value as can be found in a combat handgun. Buyer’s can spend a lot more money for a lot less gun. You may discuss this review and this pistol in this thread in our Forums Site. First, of course, we wish to acknowledge and thank the M1911.ORG member who allowed us to use his personal pistol for this test. We also thank Armscor Precision (Advanced Tactical), Hornady Manufacturing, and Federal Cartridge Company (ATK/Speer) for generously supplying some of the ammunition used in this test. We are grateful for the opportunity to include types of ammunition that we might otherwise not have access to for these evaluations. And, as always, we want to acknowledge Chris Dogolo, owner of Chris’ Indoor Shooting Range, for his unfailing support and assistance in allowing us to conduct our testing at his range.